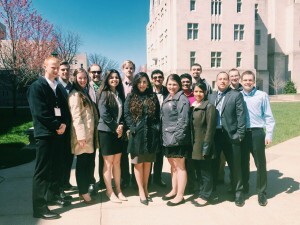 The Association for Information Systems Student Leadership Conference at Indiana University’s Kelley School of Business (2016). The Information Systems Management Association is an award-winning student organization at the University of Michigan-Dearborn College of Business. As a founding student chapter of the Association for Information Systems, we were established to further the study, practice, and utilization of information systems through student engagement programs including professional development, community development, and networking. The University of Michigan-Dearborn is a sister campus of the University of Michigan–Ann Arbor located in Southeast Michigan with approximately 9,330 undergraduate students, 1,550 graduate students, and 472 full-time faculty. With 1,150 undergraduate and 400 graduate students are enrolled in the College of Business (COB), the Information Technology Management (ITM) major has seen substantial growth over the past several years. As of January 2017, there were 97 students with an ITM major or double major declaration at the Undergraduate level and 20 students at the Graduate level. Today, the Association is driven to encourage the pursuit of information systems through education, training, experience, competition, career and technological expertise. As an active member of the community in Southeast Michigan, Association members donate their time and experience to help educate local secondary school students about careers in technology, computer programming, and educational opportunities after high school. Leave your own five star review on our Facebook page.